Tangerine is so yummy in all its iterations. If this round-up doesn't make you crave some zingy citrus or cold orange soda on a hot summer day, I am not sure what else will. 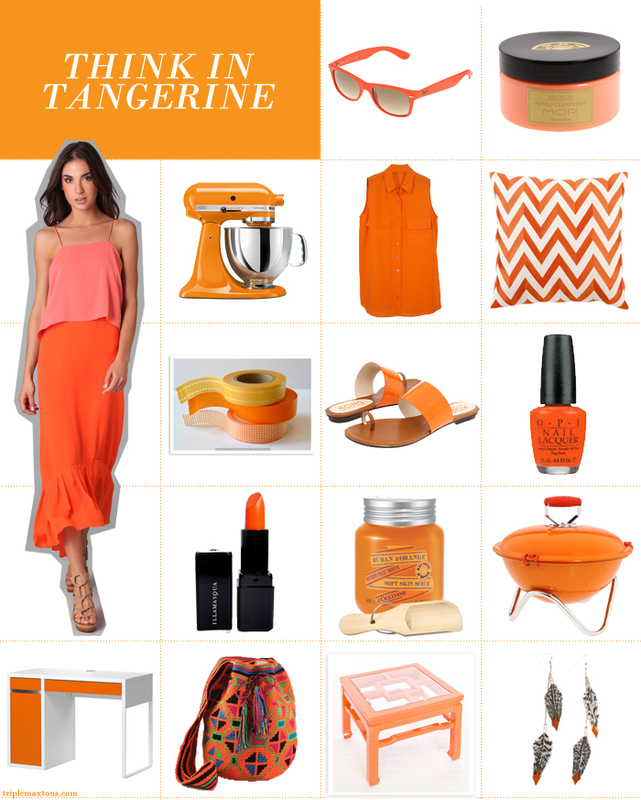 tangerine is the spice of life- feeling it! I never liked the color orange before this year. Seeing all the trends is inspiring. I like that desk and cocktail table! i want a stand mixer so bad! Love the orange table and feather earrings. Esp love the bag and the little coffee table.